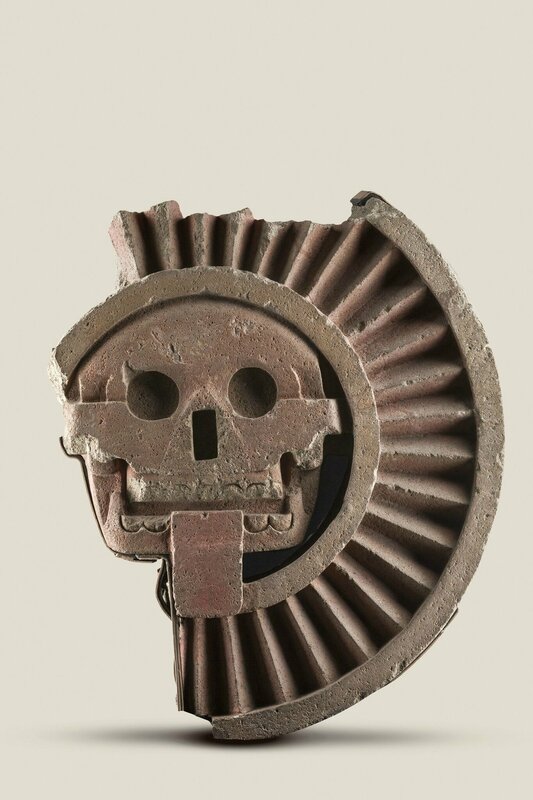 SAN FRANCISCO, CA.- The Fine Arts Museums of San Francisco premiered Teotihuacan: City of Water, City of Fire, the first major U.S. exhibition on Teotihuacan in over twenty years. The ancient metropolis of Teotihuacan is one of the largest and most important archaeological sites in the world, and the most-visited archaeological site in Mexico. At its peak in 400 CE, Teotihuacan was the cultural, political, economic, and religious center of Mesoamerica and inhabited by a multiethnic population of more than 100,000 people. This historic exhibition features more than 200 artifacts and artworks from the site and is a rare opportunity to view objects drawn from major collections in Mexico, some recently excavated – many on view in the U.S. for the first time – together in one spectacular exhibition. Mask, 300-600. Green serpentine, 8 1/2 × 8 1/10 × 4 1/10 in; 21.6 × 20.5 × 10.5 cm. Photo © Dumbarton Oaks, Pre-Columbian Collection, Washington, DC. Located approximately 30 miles outside of modern-day Mexico City, Teotihuacan was founded in the first century BCE near a set of natural springs in an otherwise arid corner of the Valley of Mexico. At its height a few centuries later, the city covered nearly eight square miles and featured enormous pyramids, long avenues, and residential compounds. 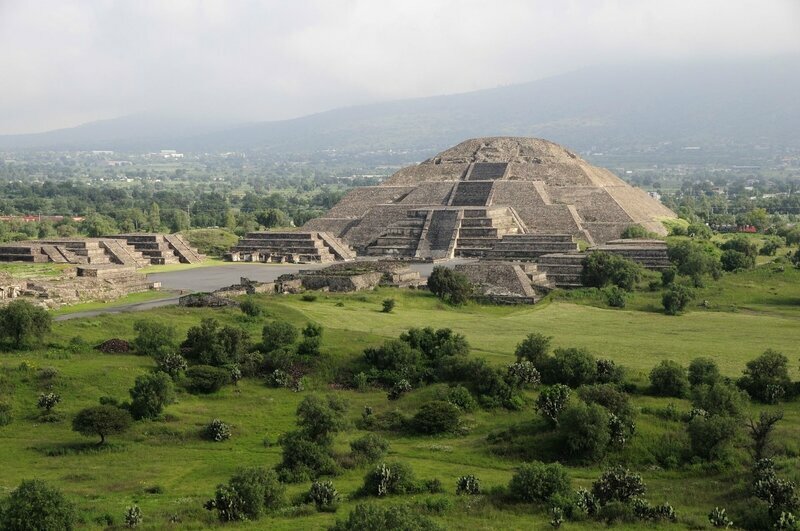 Highlights of the exhibition include artifacts recently excavated from the site of the Feathered Serpent Pyramid, as well as objects from both recent and historic excavations of the Moon Pyramid, and the Sun Pyramid—the three largest pyramids at Teotihuacan. 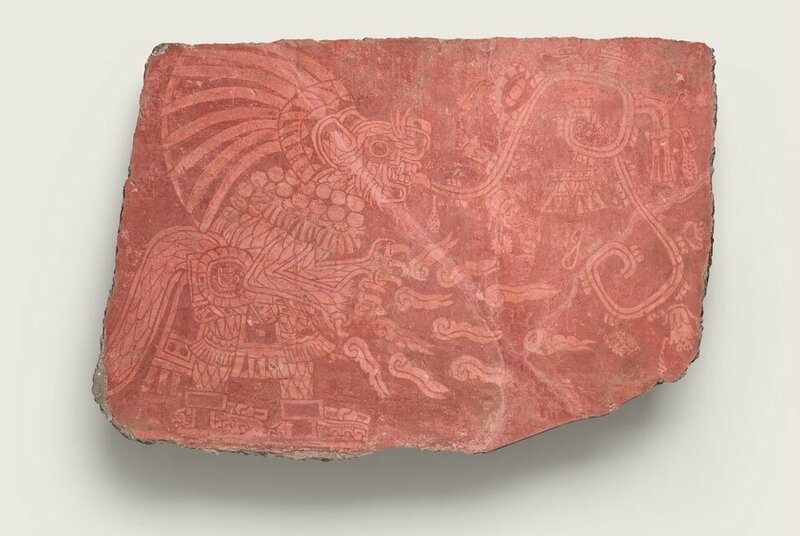 The exhibition, which will travel to the Los Angeles County Museum of Art (LACMA), also reunites exquisite mural fragments in FAMSF’s collection with others originating from the same residential compound at Teotihuacan. In 1986, FAMSF repatriated a number of murals as part of an unprecedented joint agreement with Mexico’s National Institute of Anthropology and History (INAH). Together they established a program of collaborative conservation and exhibition. Alongside these murals are monumental and ritual objects from the three pyramids, as well as ceramics and stone sculptures from the city’s apartment compounds, which were inhabited by diverse peoples from many parts of Mexico. 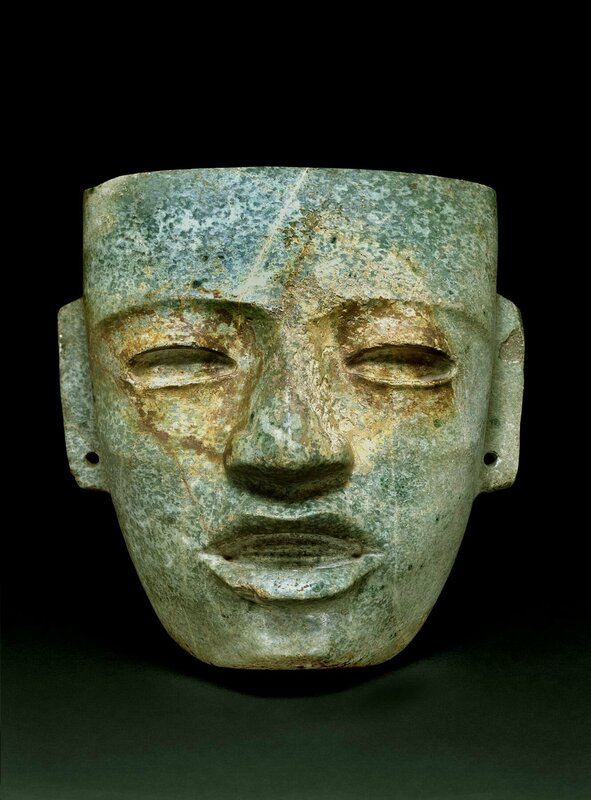 “The past ten years have seen major revelations in Teotihuacan archaeology. With these discoveries comes a new sense of Teotihuacan that will have an impact for generations to come,” says Diego Prieto Hernández, INAH General Director. “We are grateful for the enthusiastic and abiding partnerships we have developed with the Fine Arts Museums of San Francisco and the Los Angeles County Museum of Art. Such exchanges are crucial to create a shared understanding and vision across countries and cultures, a common basis for our human experience." The national and international teams working at the main pyramids have made significant discoveries since the last major Teotihuacan exhibition in 1993, when the de Young hosted Teotihuacan: Art from the City of the Gods. By bringing objects from various excavations together and encouraging visitors to understand the context of specific sites within the city, the new exhibition provides a rare opportunity for Bay Area audiences and visitors to experience a significant place in Mexico's historical and cultural landscape. 125 × 103 × 25 cm. Archivo Digital de las Colecciones del Museo Nacional de Antropología / INAH-CANON. In the sixth century, a devastating fire in the city center led to Teotihuacan’s rapid decline, but the city was never completely abandoned or forgotten; the Aztecs revered the city and its monuments, giving many of them the names we still use today. Teotihuacan is now a UNESCO World Heritage Site and attracts upwards of four million visitors annually. 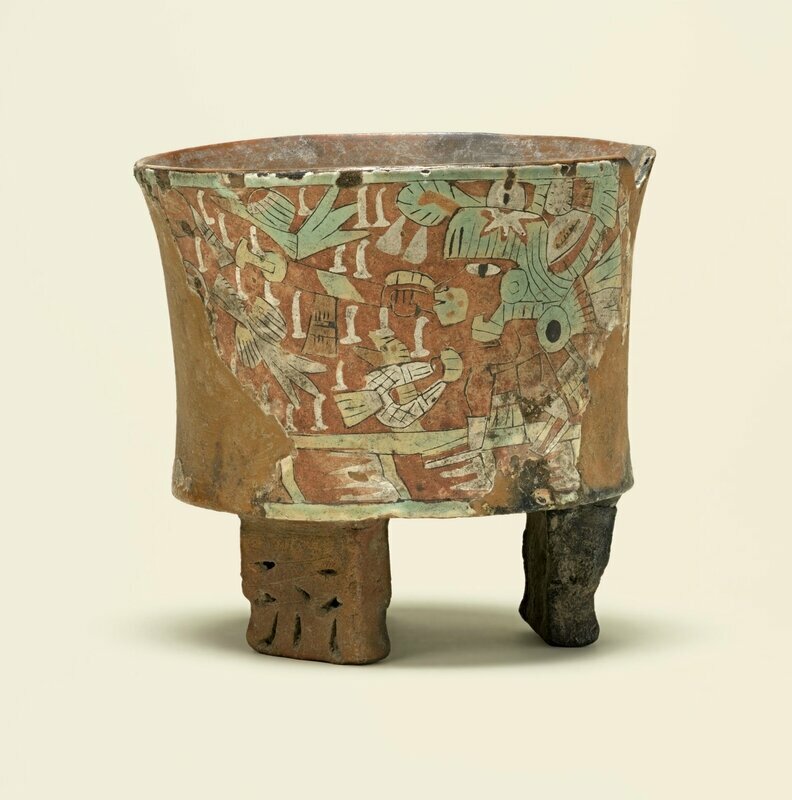 Teotihuacan: City of Water, City of Fire is curated by Matthew H. Robb, chief curator of the Fowler Museum at UCLA and former curator of the arts of the Americas at FAMSF. The exhibition is on view at the de Young Museum in San Francisco from September 30, 2017, through February 11, 2018. It will travel to the Los Angeles County Museum of Art (LACMA) from March 25 through July 15, 2018. 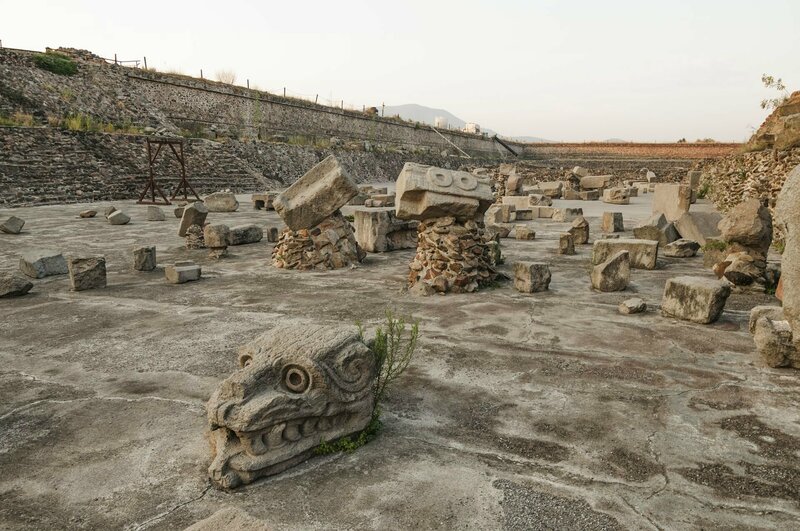 Teotihuacan: City of Water, City of Fire brings together art and artifacts from recent excavations with objects found as long as a century ago. These finely crafted works demonstrate how the city’s dominant ideology permeated everyday spaces, united a diverse population, and provided a guide for citizens as they navigated Teotihuacan’s streets. The Aztecs revered Teotihuacan and gave the city and its major monuments their names. This exhibition is organized geographically around these places. The exhibition begins with recent discoveries from a tunnel found underneath the Feathered Serpent Pyramid by Mexican archaeologists in 2003. 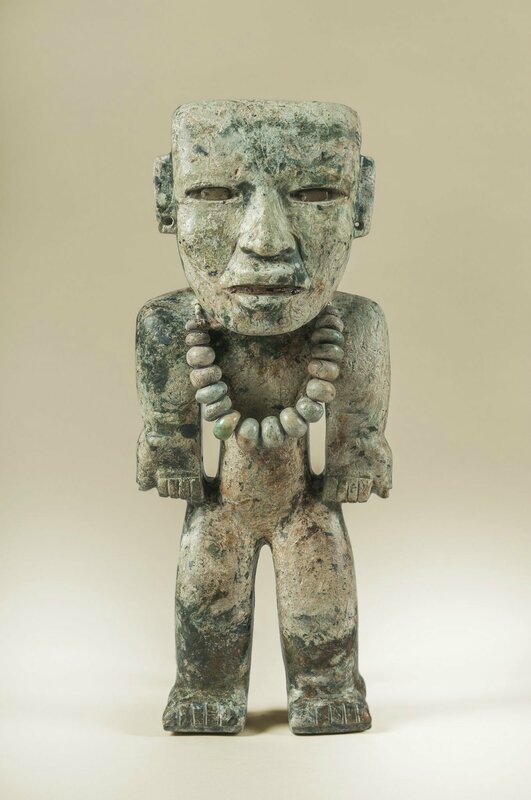 Over a decade of explorations yielded an astonishing array of objects: enigmatic sculptures that may represent Teotihuacan’s founding ancestors and large quantities of vessels depicting one of Teotihuacan’s most important deities, the Storm God. Shells likely originating from the Gulf of Mexico were also found, some incised with designs from other parts of Mesoamerica, indicating that even early in its history Teotihuacan was already a major regional hub. 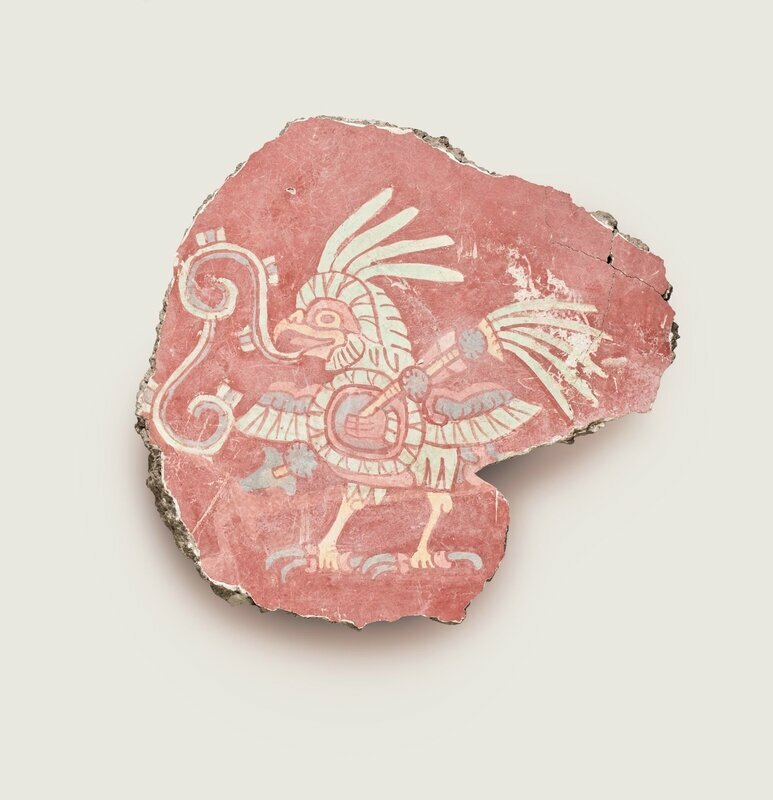 Mural fragment (feathered feline), 500–550. Earthen aggregate, stucco, and mineral pigments, 26 9/16 x 40 3/16 in. (67.5 x 102 cm). Fine Arts Museums of San Francisco, Bequest of Harald J. Wagner, 1985.104.5. Image courtesy of the Fine Arts Museums of San Francisco. Teotihuacan was a highly organized city, built in a grid like plan over roughly eight square miles, situated along the north-south axis formed by the Street of the Dead, and made up largely of architecturally similar single-story residential buildings varying in size and level of luxury. These apartment compounds housed many of Teotihuacan’s residents. The first gallery introduces the art forms for which Teotihuacan is best known and highlights important deities, including the Storm God, with his goggle eyes and distinctive nose plaque; the Old Fire God, an elderly figure who sits cross-legged and bears a brazier atop his head; the Water Goddess, known from large monuments; and the Maize God, who symbolized the life-sustaining power of this crop and may be the subject of Teotihuacan’s famous stone masks. The next gallery showcases objects from a range of residential compounds, demonstrating aspects of daily and ceremonial life for Teotihuacan’s citizens. Immigrant groups from across Mesoamerica frequently occupied distinct neighborhoods, or barrios. Here they maintained traditions from their places of origin and simultaneously integrated themselves into the fabric of the city and its dominant ideology. In a compound on the city’s western edge, for example, people from Oaxaca carried out Zapotec lifeways, including the use of Zapotec calendrical signs. An offering on the city’s eastern edge included delicately painted ceramic figurines of women and infants. 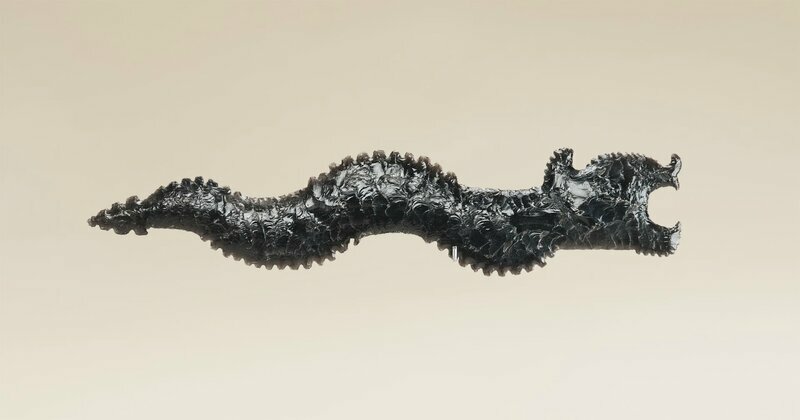 And on the city’s southern periphery, the working-class residents of Tlajinga specialized in the mass production of utilitarian obsidian blades and played a crucial role in Teotihuacan’s economy. La Ventilla, to the southwest of Teotihuacan’s ceremonial core, is presented as an archetypal Teotihuacan residential area. Artisans from La Ventilla created spectacular artworks to satisfy local and regional markets. These included iconic ceramic tripod vessels and elaborate incense burners—or incensarios. More incensarios have been found at La Ventilla than anywhere else in the city. 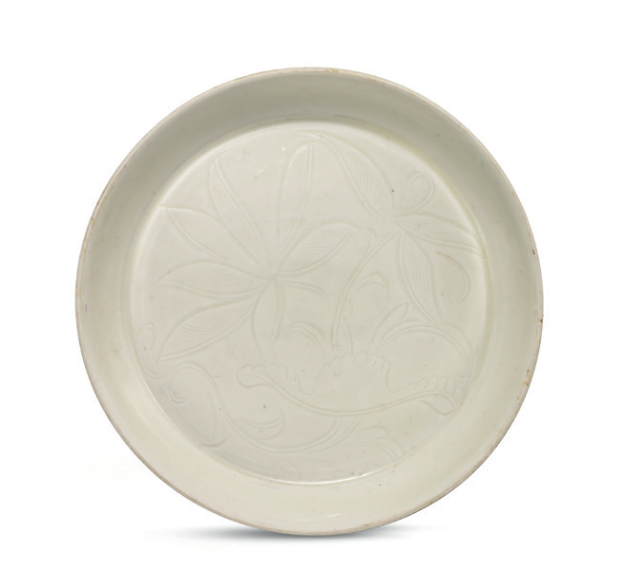 They were often decorated with mass-produced, mold-made clay decorations that were applied to their surfaces. The Feathered Serpent Pyramid and the surrounding Ciudadela are next explored. Though smaller in comparison to the Sun and Moon Pyramids, the Feathered Serpent Pyramid was covered in elaborate, monumental carvings of undulating serpents. At the time of its construction, around 250 CE, a series of large-scale sacrificial offerings were made, including the burial of more than 200 individuals. Many of the victims wore necklaces of shell carved to look like human teeth—a few included actual human jawbones – and were discovered in positions that imply they were tied and bound at the time of death. These sacrifices suggest an era of significant military might at Teotihuacan. 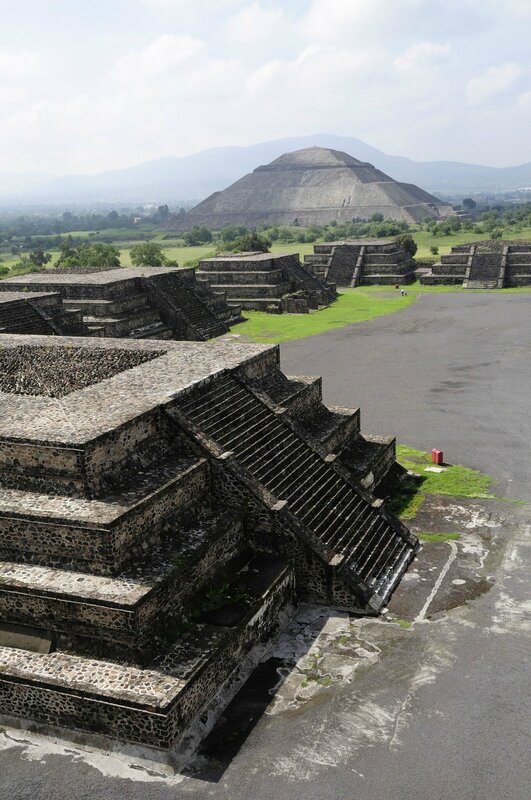 The Sun Pyramid is Teotihuacan’s largest structure and one of the largest ever built in the ancient world. It rises about 206 feet high and was built in one single, massive construction effort around 200 CE. Recent excavations have uncovered offerings of greenstone objects and evidence for programs of exterior sculpture depicting motifs related to fire and jaguars. Large pieces have also been discovered at the pyramid’s summit, including a statue of the Old Fire God—a deity with deep roots in central Mexico; early Teotihuacan leaders sought to bind the different ethnic groups inhabiting the city together by creating a single, modified version of the Old Fire God. After its monumental architecture, Teotihuacan is perhaps best known for its complex fresco murals, which decorated the city’s apartments and administrative centers. Stunning murals from high-status compounds in the Techinantitla section just east of the Moon Pyramid are on view in the next gallery, featuring exceptional mural fragments from FAMSF’s collection reunited with others from the same compound. 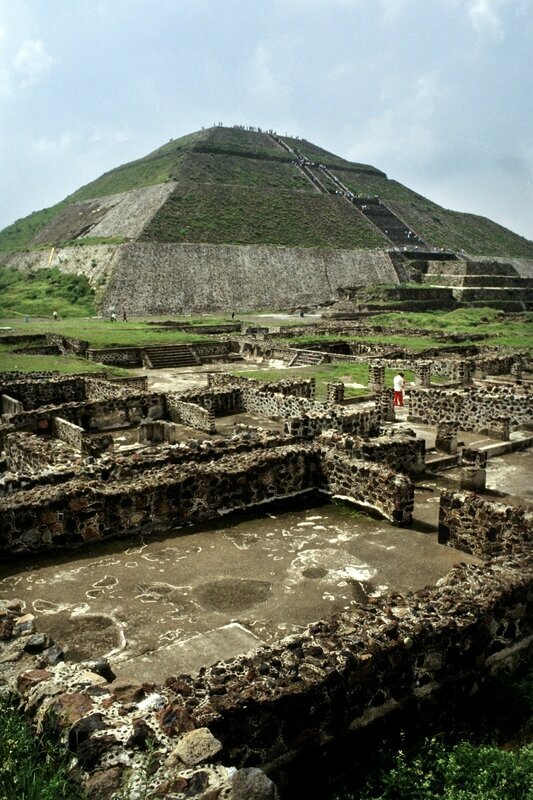 The Moon Pyramid, Teotihuacan’s second-largest structure, at a height of approximately 141 feet, is explored next. Excavations there have revealed a seven-phase construction sequence beginning sometime between 50 and 150 CE, with the monument achieving its largest size between 300 and 400 CE. During the fourth phase of construction, the pyramid was greatly enlarged, indicating a period of increasing wealth and political centralization. The completion of the construction was marked by a dedication event that involved the sacrifice of many humans and predatory animals. The sacrificial offering also included objects made of exceptionally precious materials such as greenstone, obsidian, slate, and pyrite. Many of these offerings, which were carefully arranged, seem to have connections to rituals relating to the origin of the cosmos. The exhibition concludes at the compound of Xalla, located to the east of the Moon Pyramid plaza and just north of the Sun Pyramid. The compound was likely a site for the city’s powerful ruling elite, indicated by its architectural complexity and the large quantity of ornamental sculpture found there. Many objects from Xalla bear evidence of a violently destructive event that marked the beginning of Teotihuacan’s collapse. At around 550 CE, the ceremonial center of the city was burned; ritual objects, such as the large marble sculpture shown in the final gallery, were intentionally smashed and scattered. After the great fire, the systems of urban and religious maintenance that had been successful for more than 400 years fell apart. Much of the population left the city, and Teotihuacan’s regional dominance ended. But the site itself was never forgotten, and its legacy lives on as a powerful model of ancient Mesoamerican urbanism. Eccentric, 200-250. Obsidian. Photograph by Jorge Pérez de Lara Elías, © INAH. Image courtesy of the Fine Arts Museums of San Francisco. 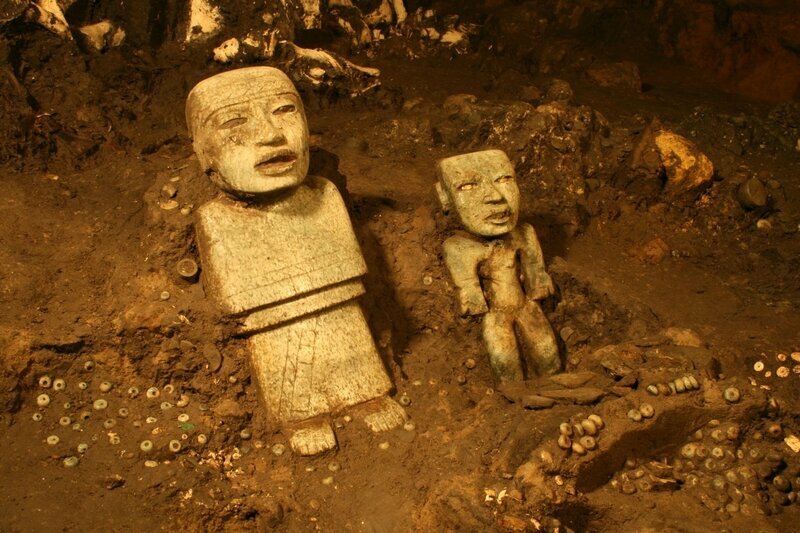 Detail of two standing anthropomorphic sculptures discovered near the terminus of the tunnel beneath the Ciudadela and the Feathered Serpent Pyramid. Photograph by Sergio Gómez Chávez, Image courtesy of the Fine Arts Museums of San Francisco. View of an area immediately east of the Feathered Serpent Pyramid, looking south. The fragments seen here tumbled down from the eastern facade of the building; some may have been deliberately thrown down in an attempt to desacralize the pyramid. Photograph by Jorge Pérez de Lara Elías, © INAH, Image courtesy of the Fine Arts Museums of San Francisco. 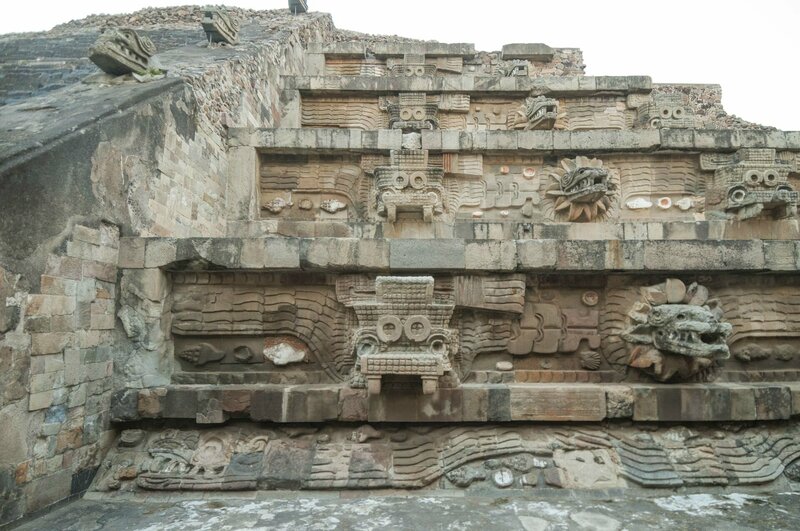 View of the facade of the Feathered Serpent Pyramid, assembled as a mosaic of large and small sculptures. 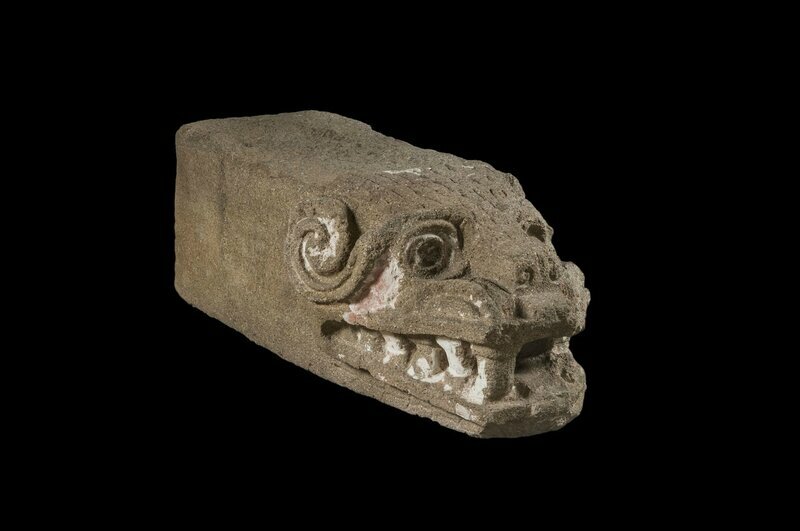 The head of the Feathered Serpent juts out from the tablero. Its body wraps around the building and carries a headdress thought to represent a primordial crocodile, or the so-called War Serpent. The shells surrounding the Feathered Serpent emphasize that the building represents a watery location, like a mountain rising from the sea. Photograph by Jorge Pérez de Lara Elías, © INAH, Image courtesy of the Fine Arts Museums of San Francisco. Mexico. Archaeological Site To Teotihuacan. Hermes Images/AGF/UIG via Getty Images. View of the Sun Pyramid looking east. At 63 meters tall, the Sun Pyramid was one of the largest and tallest structures in the Western Hemisphere until the development of the skyscraper in the nineteenth century. Photograph by Jorge Pérez de Lara Elías, © INAH, Image courtesy of the Fine Arts Museums of San Francisco. Mexico, Anahuac, Teotihuacan, Smaller pyramids in the foreground of Pyramid del Sol. Eye Ubiquitous/UIG via Getty Images. Mexico, Anahuac, Teotihuacan, Moon Pyramid. Eye Ubiquitous/UIG via Getty Images.